Rain Design mStand360 Laptop S.. 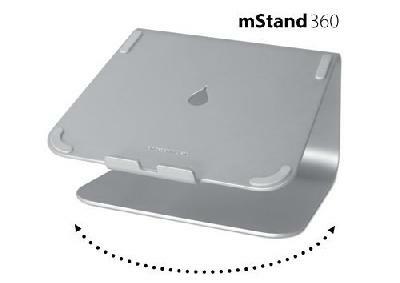 Rain Design 10036 mStand360 La..
Mstand 360 Swivel Laptop Stand.. Product weight is 3.6 lbs. 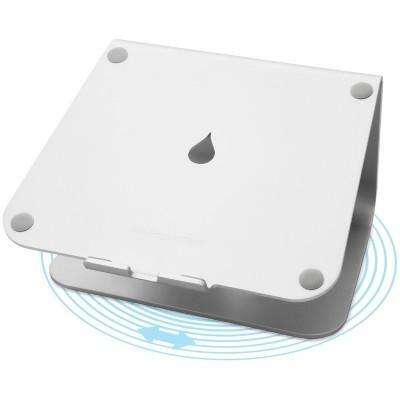 I saw many of the reviews who had used this with a 15" laptop, and wondered how well it would work with my 17" MBP. I don't know anyone that owns one, so I was a little uncertain. No worries - it works PERFECTLY! See the image I loaded that shows it in use, along with a 22" Gateway monitor, and a 24" HP monitor that complete my workstation.The design leaves room underneath the unit, which is great for extra storage, or sliding a key..